Common predators of woodpeckers include wild cats, snakes, foxes, large birds and rats, although other animals may also prey on the woodpecker. The woodpecker’s eggs, which normally number between three and five, are also vulnerable to predation. 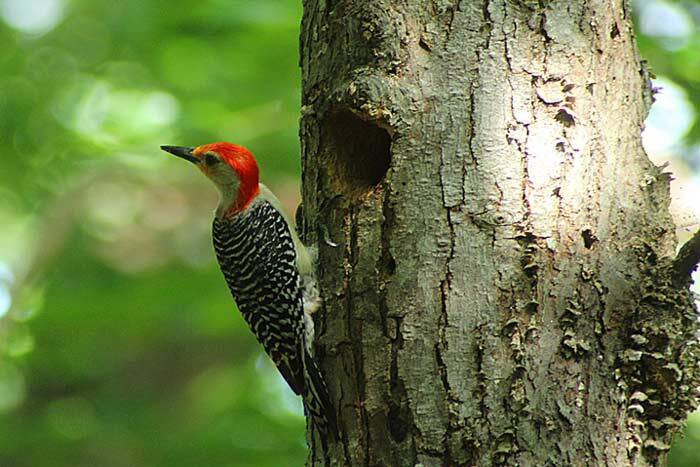 Woodpeckers are omnivorous, and their main foods include seeds, insects and fruits. Many of the insects the woodpecker eats are derived from its characteristic pecking on tree bark to extract the insects lurking within. Woodpeckers are found throughout the world in dense and forested woodland areas, with the exception of Australia, where there is no woodpecker population. More than 200 species of woodpecker have been classified around the world.